One trick is to look at the entrances. The inside of a hive is warm if the bees are alive. See how the snow is melted away? 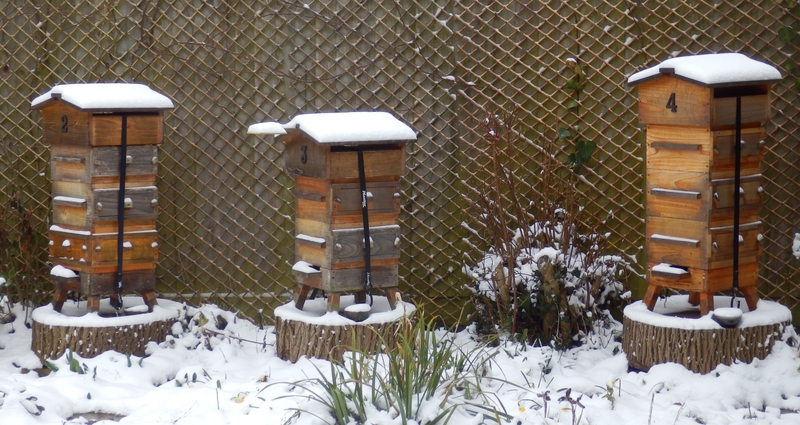 This snow is deep enough that it would cover the entrances completely if the hive interiors were cool. 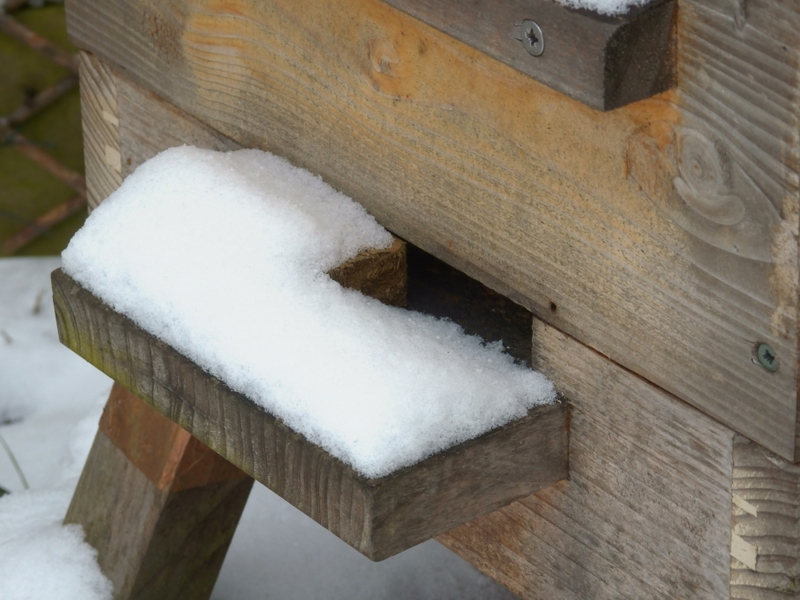 If there is a lot of snow it can bury entrances even if the bees are breathing, and suffocate them, which is one reason to raise hive entrances above ground level. In cold weather without snow, or cool mornings, you sometimes see ice on the landing board which is the bees’ breath perspiring. If it’s not that cold, you may see a dark stain – just water – which alarms some new beeks. It’s worth mentioning that the blanket of snow on the roofs is a good sign. The internal heat is well enough insulated that it is not leaking out and melting the roof snow. This entry was posted in Hives, Inspections, Warré and tagged Snow. Bookmark the permalink.